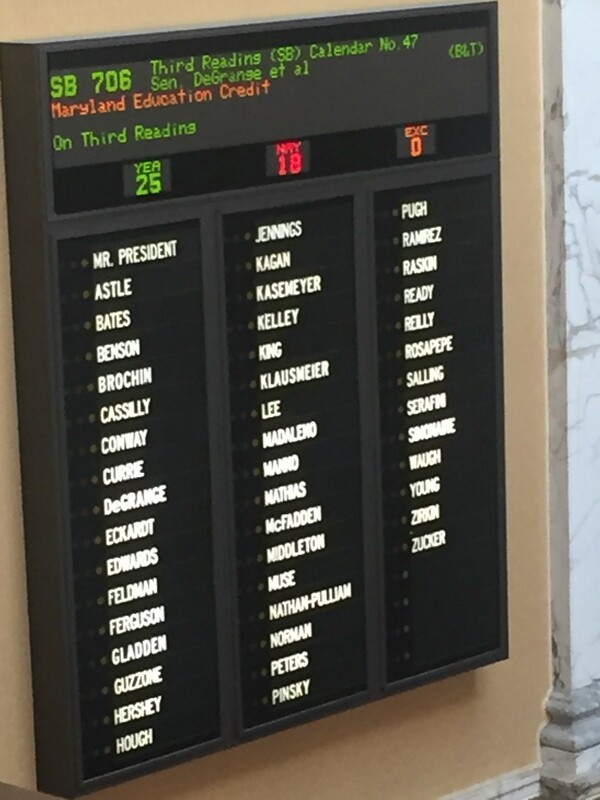 Last Friday, the Senate Budget & Taxation Committee voted Senate Bill 706, the Maryland Education Credit, on to the Senate floor. Beginning on Monday evening, senators from both sides of the aisle debated the finer points of the proposal and the general plight of nonpublic schools who serve a financially challenged population. Ultimately, to a majority of senators the virtues of the tax credit program outweighed all of the concerns raised by the opposition. The final vote count was 25 yeas to 18 nays. The battle will now get under way in the House, where the bill rests in the Ways & Means Committee. Agudath Israel thanks bill sponsor, Senator DeGrange for his leadership at every step of the way and acknowledges Senator Bobby Zirkin (who represents the heavily-Jewish 11th district) for his help in rejecting the amendments and ensuring the positive results of the floor vote.